Netflix continues to mine the video game industry for new content. 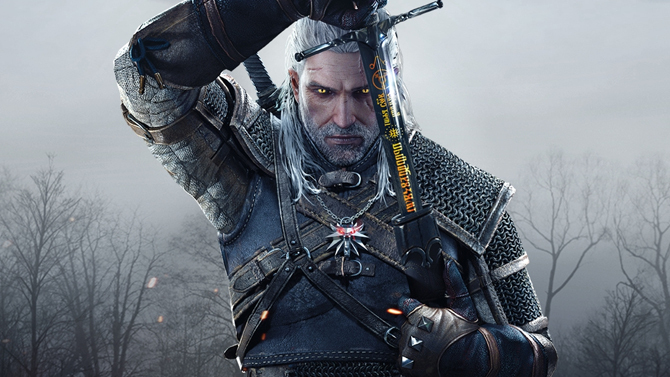 With the online streamer already making progress on an animated Castlevania series – Dredd producer Adi Shankar is involved, and it’s set to make its bow before the year’s end – today brings word that Netflix is now teaming with Platige Image to engineer a live-action, English-language show based on The Witcher franchise. As if that wasn’t exciting enough, the press release name-drops Andrzej Sapkowski, the esteemed Polish fantasy writer and founding father of The Witcher saga, as a creative consultant, though it’s currently unclear which of Sapkowski’s eight novels Netflix will choose to adapt. Since its inception, video game dev CD Projekt Red has conjured up a critically-adorned trilogy of Witcher titles that all revolve around Geralt of Rivia, whose story reached its conclusion with the launch of Wild Hunt and its two excellent expansion packs. In terms of the TV series, production studio Platige has a long history of working alongside CD Projekt, after rendering cinematics for The Witcher: Rise of the White Wolf, The Witcher 2: Assassin of Kings, and the aforementioned Wild Hunt. There is a moral and intellectual depth in these books which goes beyond genre. It is a story about today and today’s challenges, hidden under a fantasy cover. It is a story about us, about the monster and the hero inside all of our hearts. Staying true to the source material is of paramount importance to Netflix and Platige Image, so it’ll be fascinating to see how The Witcher TV series begins to take shape. Tomas Baginski is expected to helm at least one episode per season, while CD Projekt is currently busy toiling away on long-anticipated RPG, Cyberpunk 2077.